The term "Michelin Star" is a hallmark of fine dining quality with restaurants around the world proudly promoting their Michelin Star status. Celebrity chef Gordon Ramsay reportedly cried when the Michelin Guide stripped the stars from his New York restaurant, calling the food "erratic." Ramsay explained that losing the stars was like "losing a girlfriend." Interestingly, this prestigious restaurant rating is from a tire company. The same Michelin that sells tires also hands out restaurant ratings, and highly coveted ones that that. 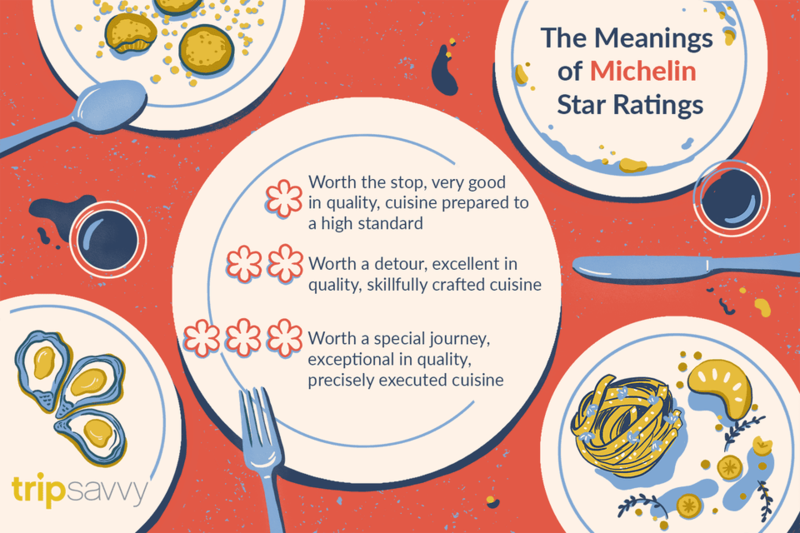 Michelin actually has a long history of reviewing restaurants. In 1900, the Michelin tire company launched its first guidebook to encourage road tripping in France. In 1926, it started sending out anonymous restaurant reviewers to try restaurants. To this day, Michelin relies entirely on its full-time staff of anonymous restaurant reviewers. The anonymous reviewers generally are very passionate about food, have a good eye for detail, and have a great taste memory to recall and compare types of foods. A reviewer has said that they must be a "chameleon" who can blend in with all of their surroundings, to appear as if they are an ordinary consumer. Each time a reviewer goes to a restaurant, they write a thorough memorandum about their experience and then all of the reviewers come together to discuss and decide on which restaurants will be awarded the stars. In this way, the Michelin stars are very different than Zagat and Yelp, which rely on consumer feedback via the Internet. Zagat tallies restaurants anonymously based on surveyed reviews of diners and consumers while Yelp tallies stars based on user reviews provided online. Because the reviews are not screened this process subjects companies like Yelp to a number of lawsuits. Michelin does not use any consumer reviews in making its restaurant determinations. Michelin also awards a "bib gourmand" for quality food at a value price. They must offer menu items priced below a maximum determined by local economic standards. Restaurants covet these stars because the vast majority of restaurants receive no stars at all. For example, the Michelin Guide to Chicago 2014 includes almost 500 restaurants. Only one restaurant received three stars, four restaurants received two stars, and 20 restaurants received one star. In 2018, 72 New York restaurants received a Michelin star rating. In 2017, 77 New York restaurants received a Michelin star rating. In 2016, 76 New York restaurants received a Michelin star rating. In 2015, 73 New York restaurants received a Michelin star rating. In 2014, 67 New York restaurants received a Michelin star rating. In 2018, 22 Chicago restaurants received a Michelin star rating. In 2017, 26 Chicago restaurants received a Michelin star rating. In 2016, 22 Chicago restaurants received a Michelin star rating. In 2015, 24 Chicago restaurants received a Michelin star rating. In 2014, 25 Chicago restaurants received a Michelin star rating. In 2018, 55 San Francisco restaurants received a Michelin star rating. In 2017, 54 San Francisco restaurants received a Michelin star rating. In 2016, 50 San Francisco restaurants received a Michelin star rating. In 2015, 40 San Francisco restaurants received a Michelin star rating. In 2014, 38 San Francisco restaurants received a Michelin star rating. In 2018, 14 Washington, D.C. restaurants received a Michelin star rating. In 2017, 12 Washington, D.C. restaurants received a Michelin star rating. In 2016, the Michelin Guide announced that it would release its first-ever guide to Washington D.C. Many have criticized the guides as being biased towards French cuisine, style, and technique, or towards a snobby, formal dining style, rather than a casual atmosphere. That being said, in 2016, the Michelin guide awarded a one-star rating to two Singaporean hawker food stalls where visitors can stand in line to get a cheap and delicious meal for around $2.00.